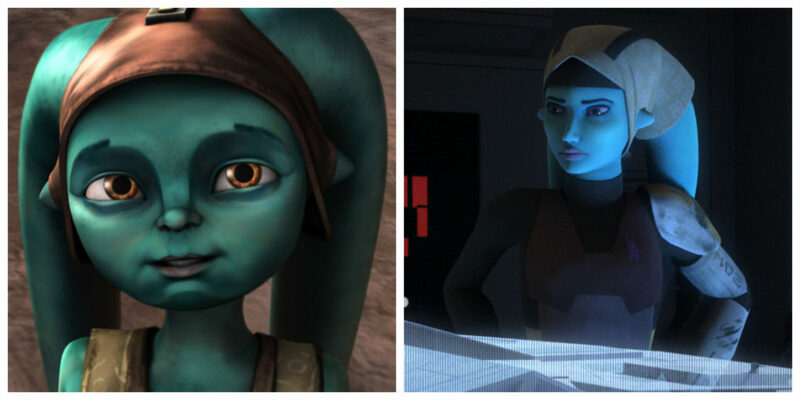 Numa in Star Wars: The Clone Wars (left) and Star Wars Rebels (right). Numa was a young Twi’lek during the Battle of Ryloth in Star Wars: The Clone Wars and later joined a rebel cell led by Cham Syndulla in Star Wars Rebels. She appeared in one episode of The Clone Wars and two episodes of Star Wars Rebels. Actress Catherine Taber voiced Numa. Here’s a clip of Numa from The Clone Wars. And here’s a clip of her from Star Wars Rebels.